God bless competition. It’s what makes America great. And it’s what has permitted so many companies, including mine, to rise to the top through hard work and ingenuity. We have a firm rule in our company offices to not criticize our competitors. It’s simply unprofessional. And frankly, our 30-plus years of experience have shown that if our competitors really do have shortcomings, in the long run they will pay the price in the marketplace. But in the past decade or so, we have come across a new breed of cat in the duct cleaning industry and, in this instance, we felt the need to speak up in the public’s interest. Some years ago we started seeing large newspaper ads promoting $99.95 residential duct cleaning jobs. In all honesty, our sales department became nervous because we simply cannot compete with those rates. Then we saw the prices drop further! The latest has been $69.95. One day we came across a client who had been offered one of these “deals.” It started out as a $99.95 job for the first 10 ducts. Then the price was bumped $37.50 for 3 extra ducts. Seems reasonable enough. But next the client was told her 13 ducts needed to be “sanitized.” This was another $12.50 per duct or $162.50. The client was then told her two heating units needed to be “sanitized.” Another $128.00. Next she’s told she should, of course, “service” the 2 units while they are at it. Add $298.00. The $99.95 advertised duct cleaning job had now reached $725.95. Add $178.00 for electrostatic filters they tried to sell her and the bill hit $903.45. A different client called one of these companies off a newspaper insert touting a $69.95 residential duct cleaning job. They didn’t do the heating ducts but ended up charging her $200 for cleaning her dryer duct. For those who may not know, this is exorbitant. To make matters worse, the dryer duct was not fully cleaned. (Dryers won’t work if the duct is clogged.) The woman refused to pay and called Action Duct for a standard service call of much less, which brought her a thoroughly cleaned and functioning dryer duct. A third tale of woe came from a contractor we work closely with. His client answered a $69.95 ad. The client showed him the final bill: $750.00. The “duct cleaning” was a quickie consisting of hooking a large vacuum hose to one duct with the system running. Then there was a $250.00 add-on for “sanitizing” the unit. Next, the client was charged approximately $33.00 per duct for “soot sealer,” which was squirted from a spray bottle into the un-removed register. Sealing dirt in a duct violates NADCA standards, which recommend dirt removal only. To “motivate” the customer she was told she had mice in her attic that had contaminated her duct system (not true). These are troublesome stories. Not so much for our company – I told my nervous sales staff to actually look at our residential sales, and they found that sales have risen nicely in spite of this “competition.” But the public is being hit hard. 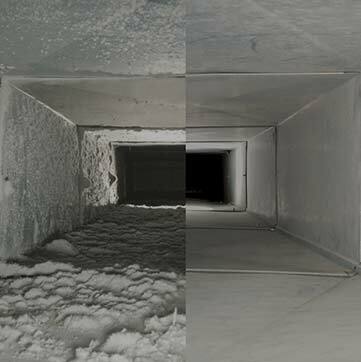 Duct cleaning is unfamiliar territory for most customers. It’s easy to be duped. And it’s hard to evaluate things you don’t understand. Our best advice is to resort to more basic wisdom: If it sounds too good to be true, it probably is. written for a national publication, at https://www.actionduct.com/company_news.html. As to these “competitors,” a word of advice: The voice teacher mentioned above got on the phone and called a bulldog consumer advocate from CBS.